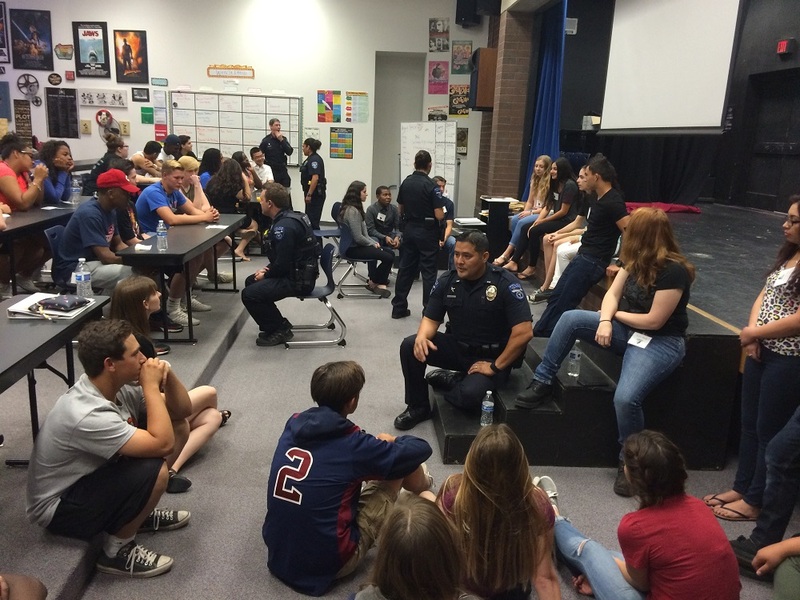 Students from the Tempe Union High School District and officers from the Tempe Police Department came together in a unique way to talk about the fallout from recent high profile events in places like Baltimore, New York and Ferguson that have spotlighted interactions between police officers and youth and sparked national discussions on racism. TUHSD Superintendent Dr. Kenneth Baca invited the department to meet with the Superintendent’s Student Advisory Council (SSAC). Each school year, student leaders from each of TUHSD’s seven high schools serve on the council. SSAC members ask questions, share ideas and discuss issues related to their school and the District, working collaboratively to provide solutions. 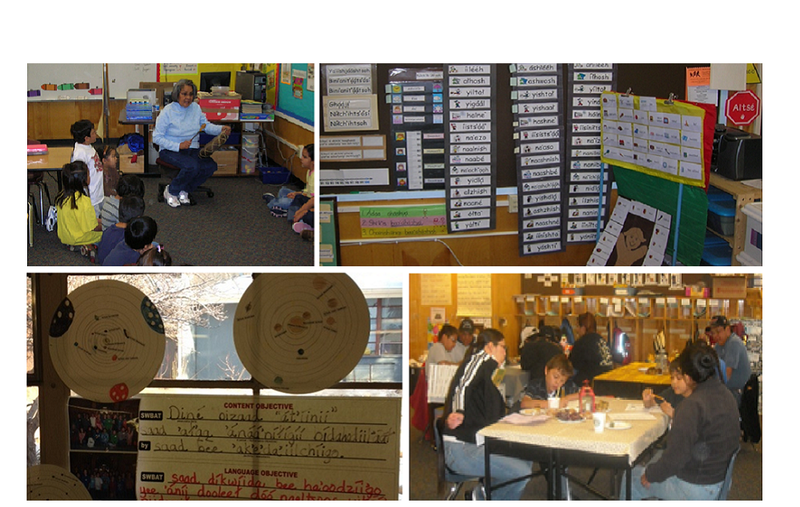 “Our schools serve 14,000 students who come from diverse backgrounds. We have great partnerships with law enforcement to help keep our schools and students safe. I wanted to bring our youth and police together to have an open dialogue about current events which may impact their perceptions of one another,” said Dr. Baca. Assistant Chief John Rush brought four members of his force to the March SSAC meeting which was held at Mountain Pointe High School. The officers shared personal, sometimes emotional, stories about their childhoods and why they became police officers. Several made a direct connection between their experiences with law enforcement as children– good and bad – and their choice of careers. They discussed their diverse backgrounds and were open and honest about what it’s like for them to do their jobs. The students then broke up into groups and in the smaller settings were able to ask questions and have discussions with individual officers. The students also opened up about their personal experiences with law enforcement. Assistant Chief Rush said he hoped the students could see the officers are people too, with feelings, emotions and families they’re trying to come home to every night. Several students said they appreciated the police department taking the time and making the effort to connect with young people. 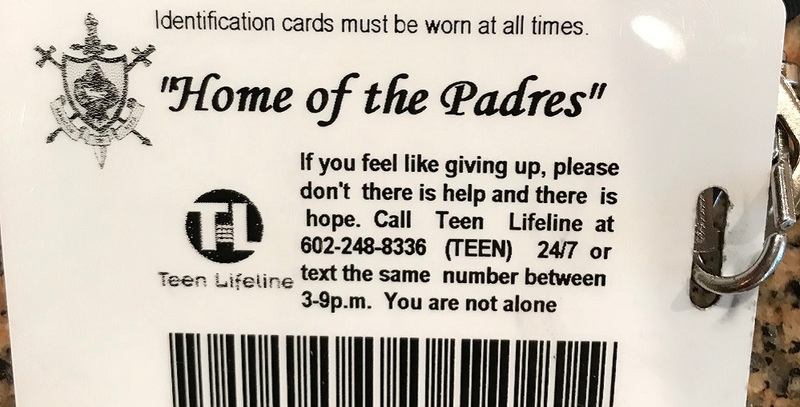 They told the officers they think only good can come of this dialogue and suggested that Tempe Police reach out to even more teenagers. 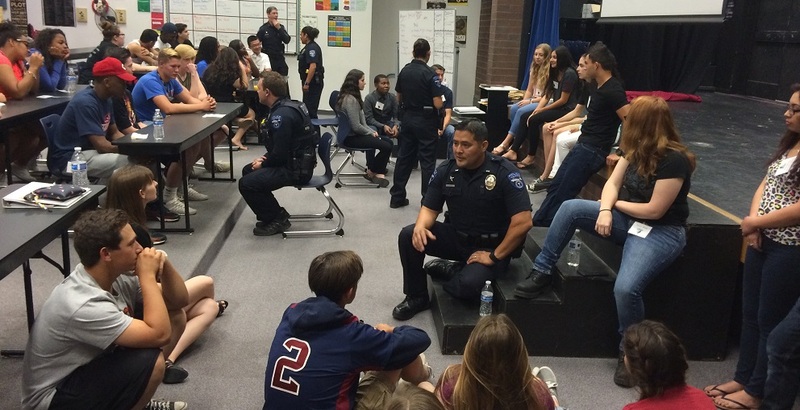 The officers said engaging with the students was uplifting for them. They were impressed by how thoughtful the students were in what they had to say and said they were surprised to learn how thankful and respectful they were of police in general. The visit also made an impact on the students. One teenager explained that as a young African-American man, he may have been distrusting of the police in the past. However, he and other students now realize that, just as they don’t want to be stereotyped by officers because of their age or color of their skin, it isn’t fair for teenagers to judge every officer who wears a dark uniform because of something negative that has happened in another community. An officer’s analogy of a bad waiter resonated with one student who explained, “If you go to a restaurant and have a bad waiter, you don’t stop going out to eat. You forget about it and move on.” This student said her takeaway was that you can’t hold all officers accountable for the actions of an individual.